Should Marijuana and Cocaine Be Legal? 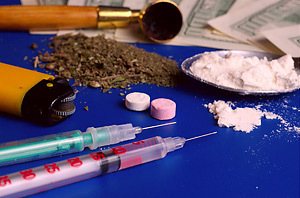 The question of whether or not illegal drugs like cocaine and marijuana should be legal, I believe, is a false one. I think that prior to asking the question of whether or not these drugs should be legalized, we should be asking if it would be a moral undertaking in the first place. There are a number of other questions that should be asked prior to unleashing the beast of drugs like heroin and crack cocaine as a publicly available and legal recreational drug much like beer and alcohol. Other Questions I Think We Should Be Asking Prior Any Consideration of legalizing illicit drugs are listed below. How will we handle school children using crack and heroin? Will we lower prosecution and criminal penalties for street dealers once legalized? Will a person be able to purchase cocaine for the corner store? Is the savings that will be accumulated from not housing as many prisoners as a result of drug legalization be worth it? Will legalization of substances like meth and cocaine cause street prices to go up? If so, will there be in an increase in burglaries, bank robberies, and aggravated robbery cases? What will be the long term effects on the normalization of these dangerous drugs in the public psyche? Once legalized, do we free all prisoners convicted of drug crimes that are no longer illegal? These are only a few of the questions circulating in my mind on this issue. I believe these questions, along with others like them, should be swirling in the minds of anyone who happens to give brain time to this conversation, issue, and movement. Personally, I think its a bad idea laden with well place assumptions and good conservative meaning, but no. Hell no.